NDigitec, a leading UAE-based creative production company has partnered with No Dutch No Glory, a creative production studio based in Amsterdam in a strategic alliance. 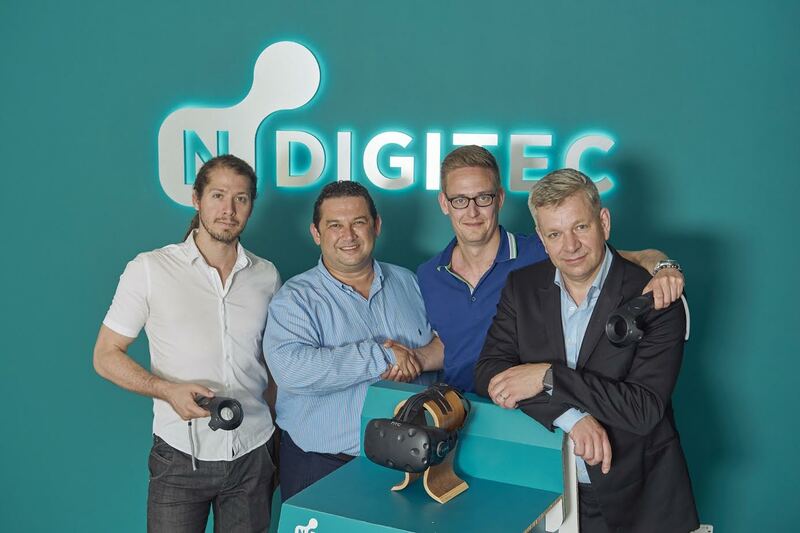 Through this alliance, NDigitec and No Dutch No Glory will join production resources and strengthen their position as leading developers of 360 film and photography, CGI, AR and VR content as well as brand concepts and design. NDigitec is offering an entire value chain of prepress, Premedia, Digital priting, Fabrication and Online printing solutions for customers in over 25 countries. Its Premedia division has production studios in Dubai and Yerevan. No Dutch No Glory is pioneer in 360 film production and VR applications in the European market and will expand to the GCC market with the Premedia resources of NDigitec. The companies have previously worked together on augmented reality and film content for the largest super yacht builder in the world. Nathan Ornick, Executive manager at NDigitec Premedia: “NDigitec is a meeting point of Technology and creativity. This partnership will reinforce our presence and competence in the European markets”. NDigitec Premedia clientele includes IMG Worlds of Adventure, Meraas, Damas, LVMH, Roberto Cavalli, VOX Cinemas, Dubai Parks & Resorts, Akyumen, Herfy, INC Fashion, Nesma Holding, and creative Agencies. Learn more about No Dutch No Glory here: nodutchnoglory.com and visit ndigitec.com to know more about NDigitec’s range of offerings.